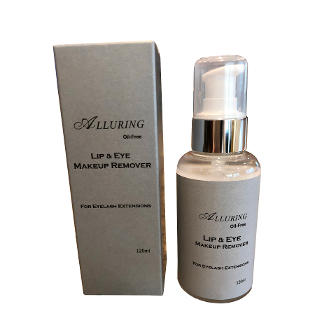 Alluring Eye and Lip Makeup Remover 120 ml Bottle. This eyelash extension friendly cleanser contains herb extracts to naturally clean your makeup off without damaging your eyelash extensions. It's a one step cleansing treatment, specially designed to remove protein or cosmetics on eyelashes and eye-zone.